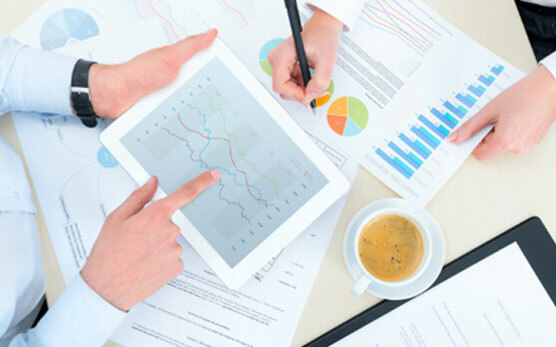 We will deliver records fast and reduce the time spent by our customers managing processes. With free two-hour turnaround for urgent reports, we ensure your data is there when needed. We are responsible for the satisfaction of our customers. We will go to extraordinary lengths to do our work right and refine our processes and products to keep success automatic. United Transcription will stay easy to work with. We will keep our softwares powerful yet easy to use. Our staff will be helpful and knowledgeable. We will keep customer service a priority. “Lakeside has had a positive experience with United Transcription. Adam and his team are available when needed, responsive to our concerns, vested in the success of the relationship and flexible to our requests. When we first started working with Adam, we developed a rollout plan that required 35+ doctors to go live on this new transcription service. Some used digital voice recorders, some used micro recorders, we were pretty much all over the place. Adam met with our physicians and managers as often as necessary to warm them up to the change, implement the shift to the new service, train all those involved on the website, develop physician specific macros or templates. “United Transcription has been an excellent partner for Carolinas Specialty Hospital. Report quality and turnaround time are great, especially on STATs. The staff is friendly, responsive, and flexible to our requests. Their web platform is easy to use and does everything we need. Our EasyChart Transcription Service Platform is a big part of why working with us is easy and reliable, and without the complicated systems and processes, that most of our competition offers. How much time does your staff spend working on records? With EasyChart by United Transcription, facilities finish their routine tasks faster or eliminate them altogether. EasyChart gives you more time and creates consistent and reliable results. Any record that is potentially incomplete goes through a computer assisted QA process to ensure accuracy without sacrificing turnaround time. On the back-end we use an active and passive grading schedule to maintain standards and training. How can our facility benefit from United Transcription’s platform? We are aware that delivering accurate transcriptions right on time is critical for your facility’s operation. Our platform helps your organization improve the quality of your reports through an improved flow of patient documentation while minimizing turnaround time. Our system integrates features that eliminate inconveniences usually involved in documentation and distribution. Will I benefit from your services? How does your platform affect our processes? We take care of data entry so that you can focus on patient care. Narratives contain greater detail, allowing for easier creation of reports. We expedite routine distribution processes. Our system lets you finish reports and sends them straight to the floor 24/7. Process reimbursement faster and eliminate the queuing of files associated with garnering manual signatures with an electronic signature feature. What services does United Transcription offer? We offer an easy to use voice-to-text platform that allows accurate and real-time documentation of patient narratives, facilitates quick delivery of documents, as well as simplifies production of quality reports. Is your platform’s interface easy to use? Yes, our platform is easy to integrate, and we have a user-friendly interface. We strive to make the process significantly easier for you, but should you encounter any difficulties using our platform, our representatives are always ready to address your concerns. Can I use your platform with my existing systems? Yes, it’s easy to integrate our platform with any HER, as it is compatible with any healthcare management system. Do I need to pay to upgrade? Do you have a customer service team that responds to queries? Yes, we do. We take pride in giving our clients keen attention and personalized service, which extends post-interface. Our representatives are always on the phone, ready to respond to your urgent questions. How hard is it to implement new service? "When you partner with United Transcription for your medical transcription services, you will be working with a dedicated company with over 15 years of experience of helping doctors do their job more efficiently. Our professional medical transcriptionists are highly trained to spot potential errors and ensure that your patient’s medical data is accurate. When you partner with United Transcription, we put your needs first. That is my sincere promise to you." Improving your organization’s documentation processes should not cost you more than necessary. Deliver accurate reports in less time with an affordable service management solution. United Transcription is a US-based company that hires US-based transcriptionists. We offer dependable volume, regular pay, and a friendly experience. In return we ask transcriptionists that work with us to commit themselves to the accounts they type and to strive for continued improvement. United Transcription is all about simplifying your facility’s documentation processes. Our service primarily works to fully record patient narratives, including the nuances, creating a more accurate foundation for reports. We introduce a robust platform that allows a quicker turnaround time for reports, easy modification and authentication of documents without compromising patient privacy, and hassle-free delivery of the reports to the floor.